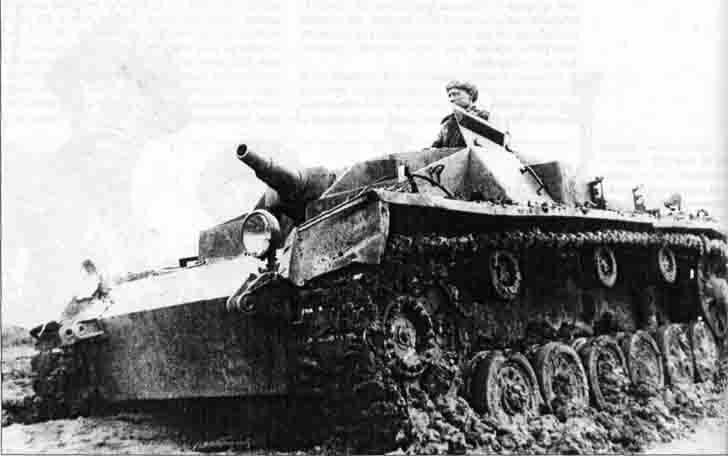 Soviet tankers mastering trophy self-propelled artillery StuG III Ausf. B (in contrast to the later versions, armed with a gun with a short barrel). StuG III self-propelled guns, presumably belonged to the 214-th Division assault guns of the Red Army. It was captured May 14, 1942 by the Soviet tank crews of the 5th Guards Tank Brigade. South-Western Front, in May 1942.